The perfect event lives from visualized emotions. and will be successful if people reward it with enthusiastic applause. Palast Promotion eventfully promotes your message and world of products into the hearts of your target group. Be it a congress, performances for ecomomy, politics or sports, product presentations, press conferences or your company anniversary: You and your guests will sense sympathy, hear the extraordinary and experience energy which will make you exhilarate! From Amsterdam to Zagreb – all around the world Palast Promotion organizes concerts and tours, works together with artists who feel home at all kinds of European festivals. You will profit from our perfect organization of your trips, the best logistic planning and technological support. We hereby also work hand in hand with renowned record producers. We go on the road with artists like Bobby McFerrin, Paco de Lucia, Joe Zawinul und Silje Nergard! With fantastic performances from the world of jazz, world music, pop, Flamenco, Performance oder Dance. 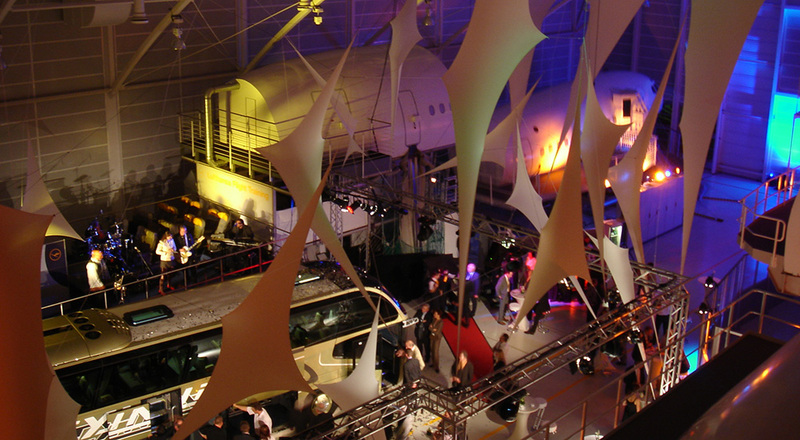 There is no event at Frankfurt’s Lufthansa Flight Training Center without Palast Promotion: Nivea, Telefunken, Siemens, IBM, KPMG or Lufthansa itself present themselves in the midst of this fascinating location. Palast Promotion manages the events incorporating the spectacular architecture of the giant hall in the special sense of the promoter. This means pure emotion amidst a hightech-setting of huge aircrafts! 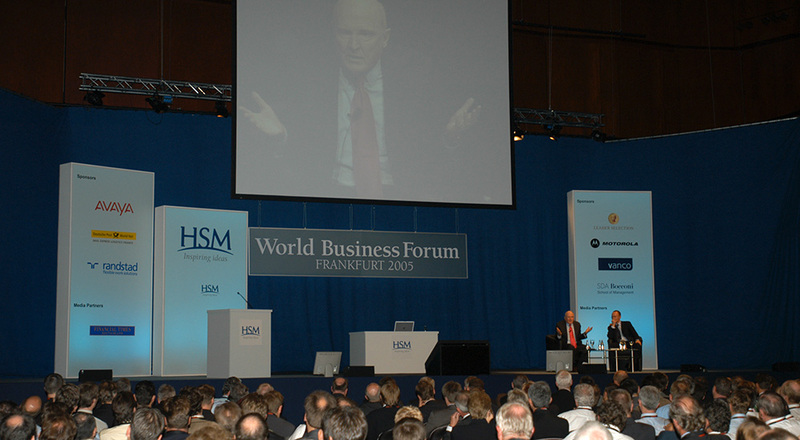 Milan – Madrid – Frankfurt: For the HSM Group Palast Promotion organizes the annual World Business Forum. This is one of the most important meetings with an exquisite audience for executives, political and economic decision-makers as well as competent spokes-people. The visitor’s book of Frankfurt’s Alter Oper documents among others Bill Clinton, Rudy Giuliani, Helmut Kohl and Harvard professors Robert Kaplan und Michael Porter. 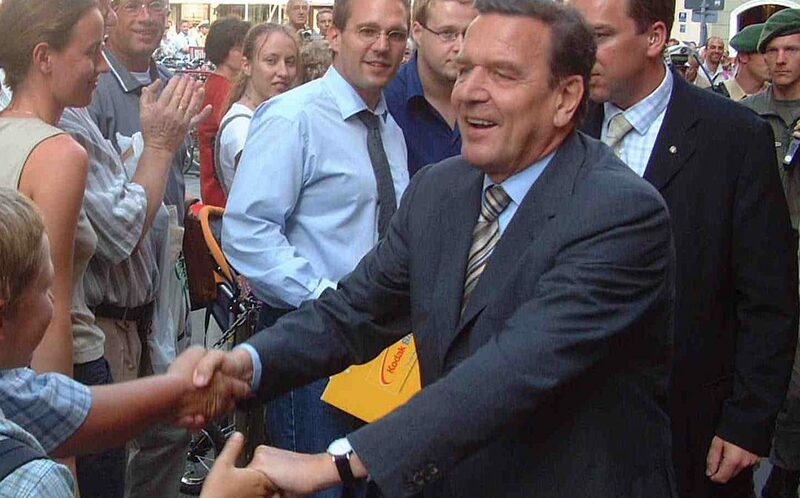 People from all over the world came to visit Germany: Palast Promotion organized about 3.000 single events with over 40.000 artists in Hannover for the 145 national days at EXPO 2000. Palast Promotion was also in charge of the pavillions of the Portugese state government, as well as the VIP-lounge of the 100 industry events at the themepark (Themenpark). 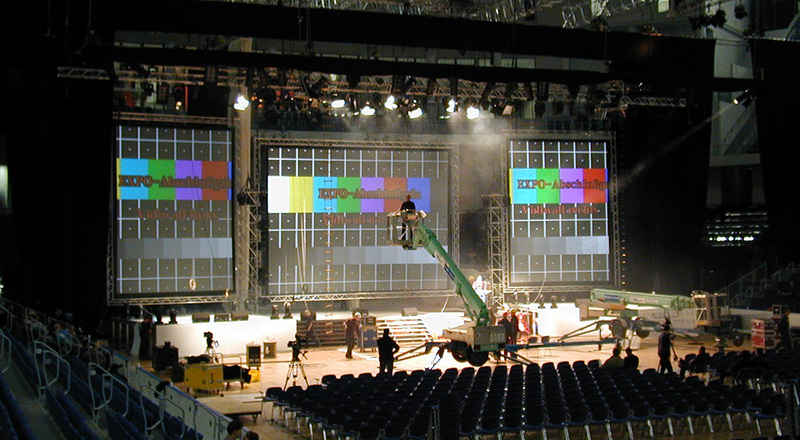 Culmination of the planning and organizational performance of the Palast Promotion staff was the contigent of international artists to entertain the 9.500 invited guests of the German Federal government at EXPO’s final. 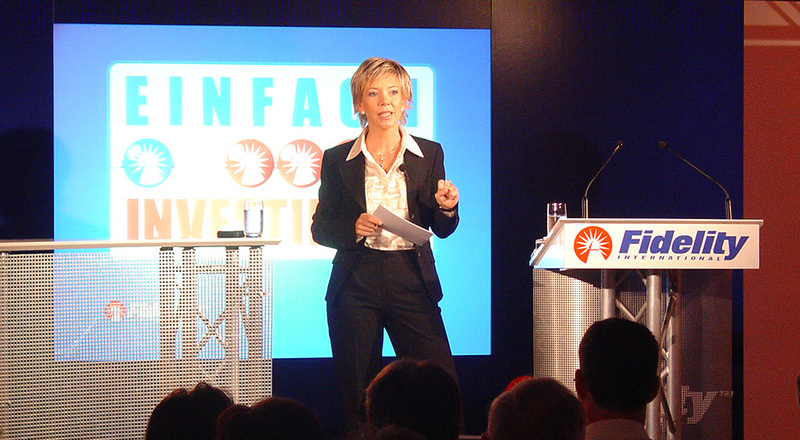 For the largest global investment management company, Fidelity International, Palast Promotion organizes all product presentations and events, press conferences and road shows. Showtime for fund experts and financial facts! 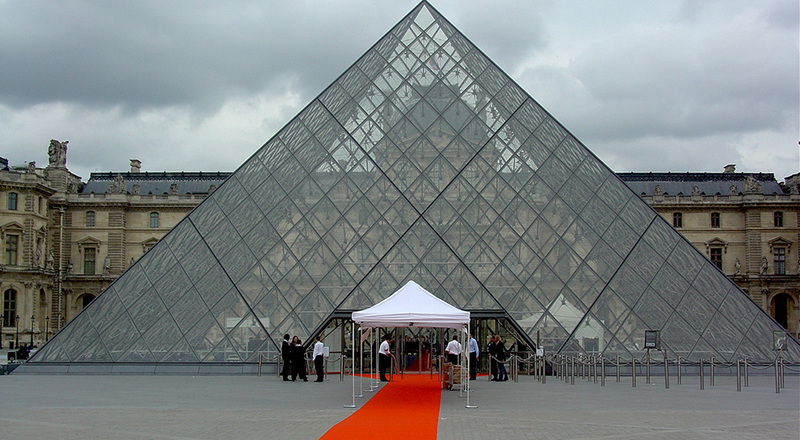 2.800 guests from all around the world filled the completely converted Paris Louvre to attend Abbot Vascular’ s merge-event. A 160 meter red carpet, shuttle service with 40 busses and 200 taxis, 2.000 metro-tickets: Visitors logistics for this huge event were just as well in professional hands with Palast Promotion as the entire organization of the exhibition, presentations and conferences, an evening gala, including artistic shows, technological provisions and catering. 40.000 people were captivated by three simultaneous starting events for the election campaign of the German parliament in Berlin, Munich and Bonn. And this was merely the beginning: Another 60 Germany wide events during the next 30 days filled halls and arenas and caused enthusiastic ovations for speakers, artists, comedians and entertainers. Introducing the Euro, Palast Promotion created a 30-second commercial which was shown in the fall of 2001 at 1.100 cinemas all over Germany. Popular German artists like the actor Götz George and entertainer Ingolf Lück presented the new currency as a symbol for European unity. At the annual Innovation Price Award of the German Economy (Innovationspreis) at Frankfurt’s Alte Oper, Palast Promotion is in charge of the beaming spotlights at the right place and time. 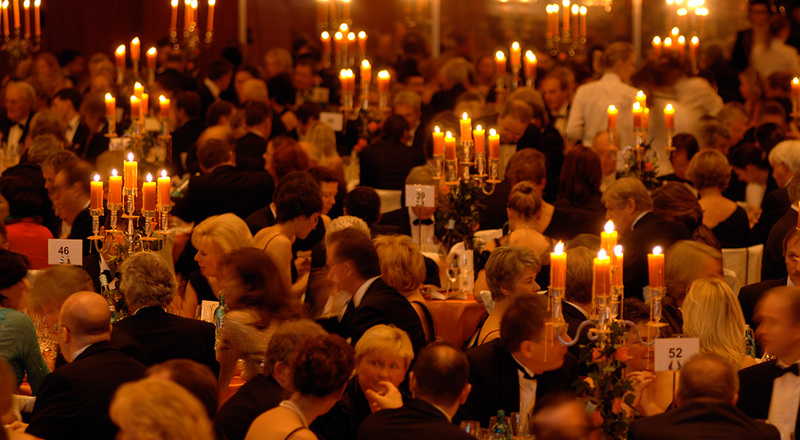 The event includes a gala evening and one of the largest German fashion shows.